Royal Brunei has officially confirmed that it will be increasing capacity on its services to Dubai and London Heathrow by 40% effective June 24th. Currently, BR operates a daily service to London via Dubai with a Boeing 767-300ER with full 5th freedom traffic rights. However from June 24th, the carrier will be utilizing their newly leased Boeing 777-200ER (ex SQ aircraft) on this route which seats 30 in business and 255 in economy class i.e. 80 more than its B 763ERs do. In total, BI has leased 3 B 772ERs from SQ out of which 2 are dedicated for this route and the 3rd one shall be used on Australia bound flights. Fly Dubai the low cost airline of the city of Dubai has officially announced that it shall be launching new nonstop flights to Kabul, Afghanistan, Istanbul, Turkey and Luxor, Egypt from May 17th onwards. Kabul and Istanbul shall be operated 5 times per week nonstop using a Boeing 737-800X where as Luxor will be flown 3 times per week using the same aircraft type. The flight schedule for DXB-KBL is slated for a 2am departure out of DXB and returning back to base by 845am DXB time which allows excellent connections in both directions to EK's entire UK and European network. Etihad Airways has officially revealed plans for its much anticipated entry into the high yielding Iraqi market with flights to Baghdad and Erbil being announced. Pending government approval, EY intends on launching 5 times per week nonstop flights to BGW-Baghdad using an A 320 flown nonstop from its Abu Dhabi (AUH) hub base effective April 26th. With regards to EBL-Erbil, it plans on flying twice a week nonstop using an A 320 effective June 1st 2010. 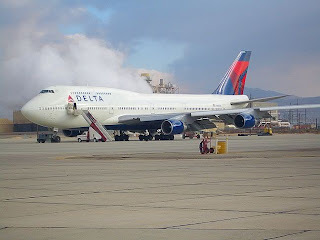 Delta Airlines has officially confirmed that it will be increasing capacity on its Atlanta-Accra route from June 1st onwards to cope with additional passenger and cargo demand on this popular sector. Currently, DL operates a Boeing 767-300ER on this route nonstop flown 3 times per week, however it shall be utilizing from June 1st the larger Airbus A 330-200 four times per week nonstop which shall definitely help increase the overall revenue of the service. South African Airways has officially announced that it shall be increasing capacity to MUC-Munich, Germany for the peak summer season in order to cope with high demand for the Soccer World Cup being staged in its homeland. Currently, SAA operates a daily nonstop flight from its JNB hub base to MUC using an Airbus A 340-300, however from May 11th, capacity shall be increased to a daily Airbus A 340-600 until July 31st. Thai Airways has officially revealed that the 3 Boeing 777-300ERs that it has leased from Jet Airways for a three year period will be used to further increase its services to CDG-Paris and as a replacement aircraft on one of its triple daily flights to NRT-Tokyo Narita airport. 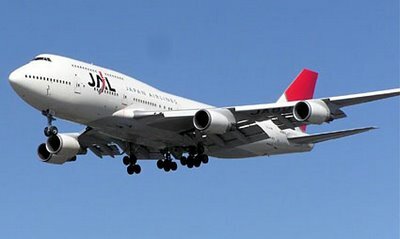 Effective June 1st 2010, TG will be replacing its daily B 744 service between BKK and CDG with the B 773ER and from July 16th, the route gets a frequency increase from daily to 10 times per week nonstop with all flights being operated by the B 773ER. As far as NRT is concerned, the B 773ER will be operating daily on TG 676/677. Malaysia Airlines has officially confirmed that it will be launching new services to DMM-Dammam, Saudi Arabia from May 2nd 2010 onwards. 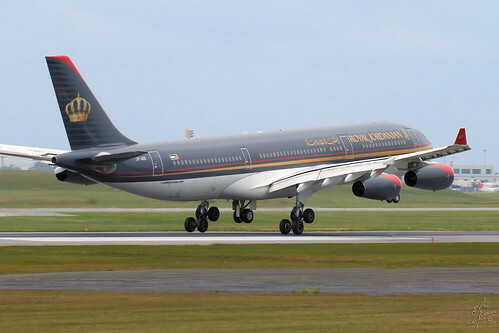 Flights will be operated via Dubai twice a week on TUE and FRI using an Airbus A 330-200. The carrier is looking to tap into the huge labor market that exists between the city of DMM and Malaysia/Indonesia as well as to get high yielding oil business traffic bound to Singapore and Jakarta from ARAMCO which is based out of DMM. In addition, MAS has also announced that it has placed a firm order with Airbus for the purchase of 2 Airbus A 330-200 freighters and firmed up its earlier commitment for 25 Airbus A 330-300s which was announced initially last December. It plans on using the A 332Fs to fly cargo flights to Europe via India. From Tokyo - Rome, Milan, Amsterdam, Bali and Brisbane. From Osaka - London Heathrow, Paris, Hanoi, Bali, Kuala Lumpur, Beijing, Guangzhou, Hong Kong and Seoul. From Nagoya - Paris, Bangkok, Seoul and Guangzhou. 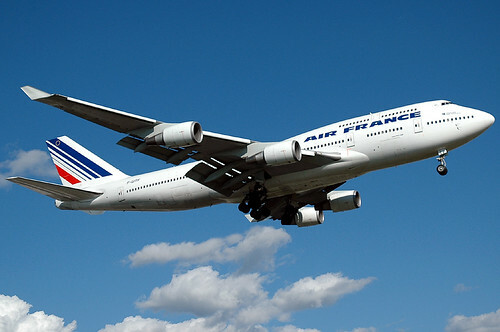 Lan Chile has officially confirmed that it will be launching new services to CDG-Paris, France from September 2nd 2010. Flights will be flown 3 times per week from its Santiago base via Madrid using an Airbus A 340-300 on TUE/THU/SAT. As a result of CDG being launched via MAD, the Spanish capital's frequencies too get an increase from the current daily nonstop services to 10 per week. 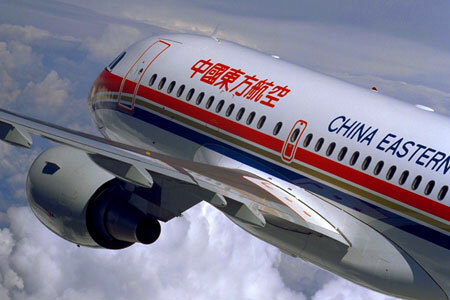 China Eastern Airlines based out of Shanghai airport has officially announced that it will be increasing its flights to CDG-Paris from July 2nd 2010 onwards. Currently, it operates daily nonstop services using an Airbus A 330-200 but these shall be increased to 10 times per week nonstop with the 3 new weekly flights flown using an Airbus A 340-300 on WED/FRI/SUN. 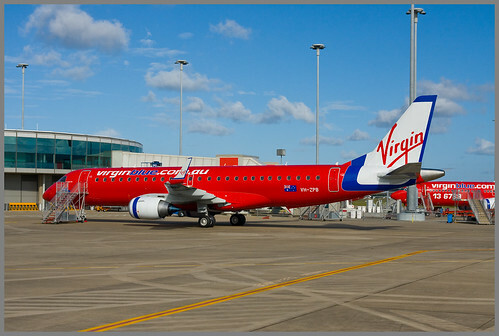 Virgin Blue of Australia has officially announced that due to higher profit margins and revenue fore casted for the next decade for its own domestic Australian operations, it has managed to secure placing a massive plane order with Boeing for 105 Boeing 737NGs. These include 50 Boeing 737-800s + 25 options for the -700 or -900ER variant + 30 future purchase rights. Deliveries of these new B 737NGs shall commence from late Summer 2011 and shall go on for 6 years. KHI/DAC - capacity reduced to 5 weekly nonstop A 310-300 services. CPH/OSL - frequencies increased to these 2 cities to 3 times per week using a B 772ER i.e. twice a week from ISB and once a week from LHE. 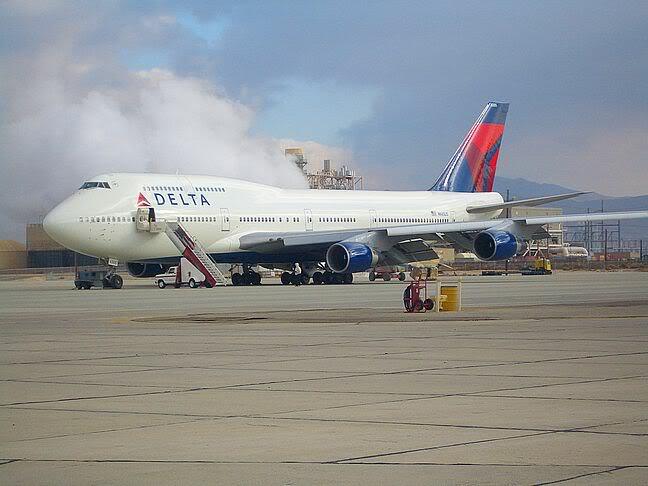 SGN - new 3 weekly nonstop terminator flights shall be operated using a Boeing 747-400. 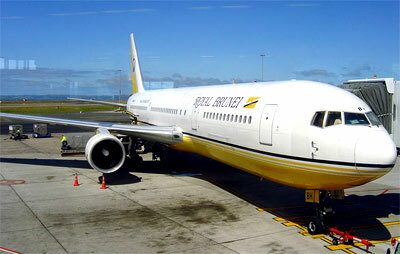 However, capacity shall be reduced from January 2011 when the Boeing 777-300ER replaces the B 744 on this sector. BKK - capacity reduced to a daily nonstop flight using a Airbus A 340-300. HAN - all 5 weekly flights operated via BKK are canceled. IAD - capacity increased to triple daily B 772ERs from double daily B 772ERs + daily A 332. DXB - capacity increased from a daily B 772ER to a daily B 773ER. DEL - capacity reduced from June 7th from a daily A 343 to a daily A 332. HKG - frequencies increased to double daily nonstop flights using a B 773ER. KIX - capacity increased from a daily B 772ER to a daily B 773ER. CCS - capacity reduced from a daily A 343 to a daily A 332. MEX - capacity increased to double daily nonstop flights using a B 744 + B 772ER each respectively. Sri Lankan Airlines has officially confirmed that it shall be launching new services to PVG-Shanghai, China from July 1st 2010. UL will be flying to PVG via BKK-Bangkok with full fifth freedom rights 4 times per week using a 2 class configured Airbus A 330-200. Other changes announced for Southeast Asia from the same date onwards include operations to Hong Kong being reduced from 4 to 3 weekly A 332s via BKK however overall number of flights to Bangkok are increased to 10 times per week. Royal Jordanian has officially announced that it shall be increasing capacity on its popular Amman-London Heathrow route from June 1st 2010 onwards. Currently, RJ operates a daily AMM-LHR flight using their old Airbus A 310-300 three times per week alongside an A 321 four times per week. However, capacity shall be increased to 6 times a week using their newly leased 283 seater Airbus A 330-200 + a weekly A 321 effective June 1st. KHI - from June 1st becomes 4 weekly A 332s + 3 weekly A 320s instead of daily A 320s. BKK - daily A 343s instead of a mixture of A 332s and A 343s. Emirates has revealed on the GDS that it will be increasing its flights to ABJ-Abidjan, Ivory Coast from July 1st 2010. Currently, flights are operated 4 times per week using an Airbus A 340-300 via Accra with full 5th freedom traffic rights. However, from July 1st these shall be increased to daily flights using the same aircraft type and also all flown via Accra. Emirates has officially announced that it shall be increasing capacity on its popular Dubai-Manchester route effective Sept 1st 2010 by deploying the Airbus A 380 on the route replacing the 2 class configured Boeing 777-300ER on EK 017/018. EK will still fly double daily nonstop services using an A 380 along with a B 777-300ER each respectively. This will see Manchester for the first time getting a first class product offering from Emirates! ARN - frequencies increased from 5 weekly to daily flights using a B 752ER.